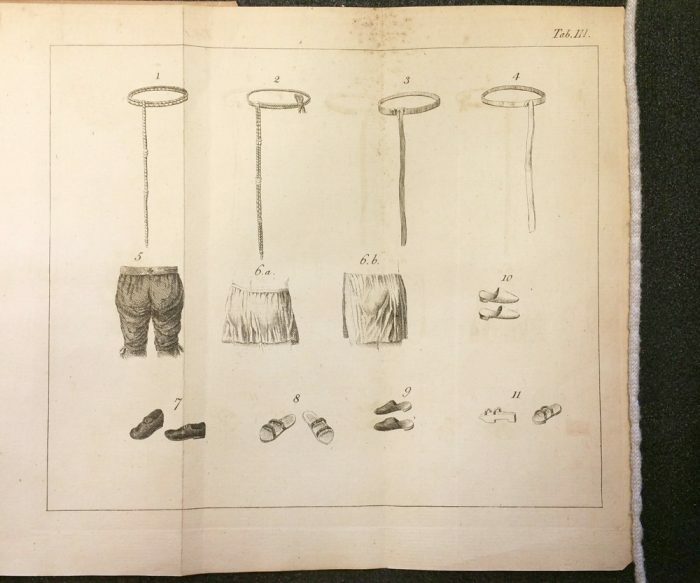 Browsing our special collections stacks surfaced this amusing plate depicting what at first glance looks like random shorts, sandals, and… rope? Tab. 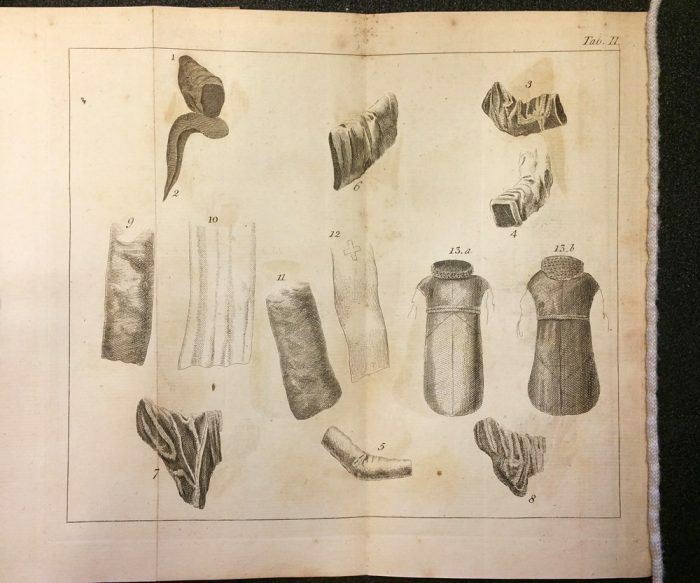 III [engraving of belts, breeches, shoes] — Born’s Natural History of Monks, London 1783. 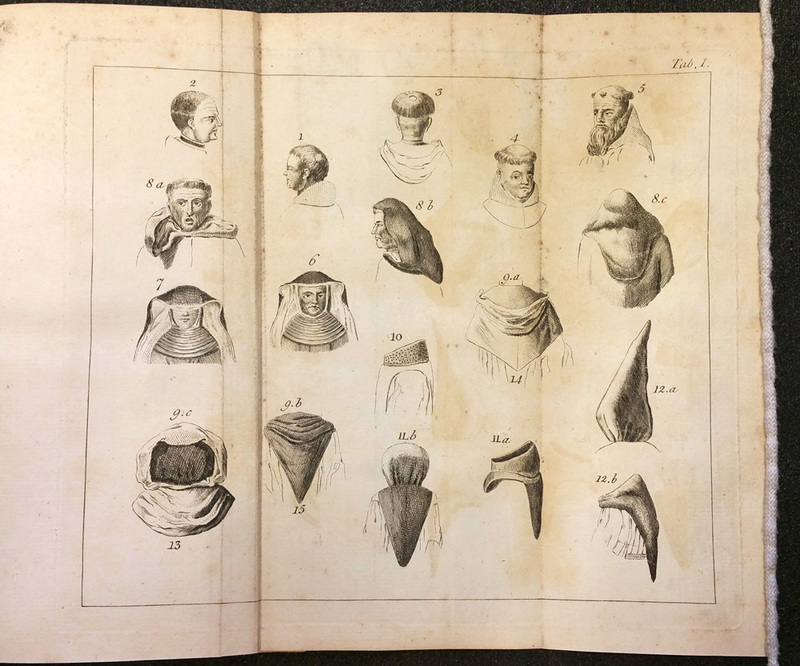 The book is Ignaz Edler von Born’s Specimen of the natural history of the various orders of monks, printed in London in 1783. 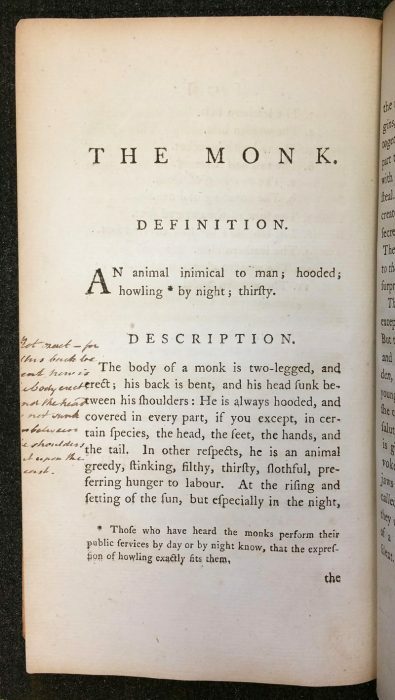 It turns out to be a satirical, anticlerical pamphlet that describes monks according to a Linnaean classification system. 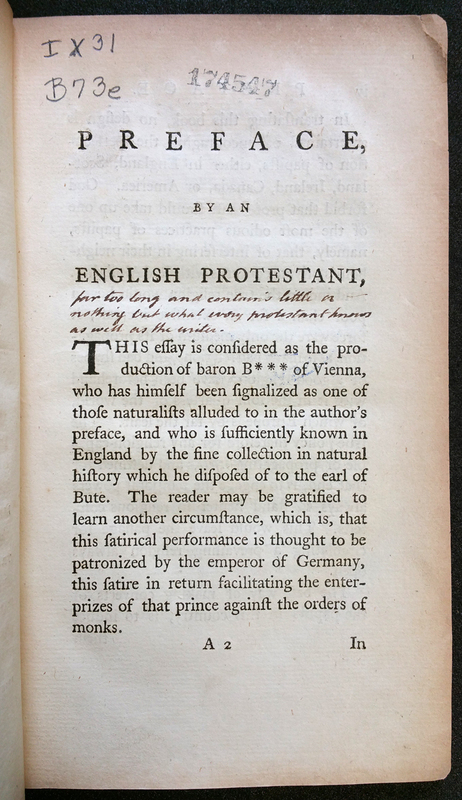 The Burke Library’s copy is an English translation from Born’s original Latin, and includes a “Preface by an English Protestant,” as well as some biting commentary by an unimpressed reader. There are two more plates of engraved illustrations depicting various aspects of monks’ dress and appearance. Tab. II [engraving of scapularies, sleeves] — Born’s Natural History of Monks, London 1783. Tab. I [engraving of tonsures, veils, hoods] — Born’s Natural History of Monks, London 1783. 1783 English translation, printed in London. From the collections of New York Public Library; same edition as the copy in the Burke Library’s collections. 1784 Latin edition, printed in Augsburg. From the collections of New York Public Library. 1884 French translation, printed in Paris. From the collections of the Library of Congress. 1852 English translation, printed in Edinburgh. From the collections of the Pontifical Institute of Mediaeval Studies at University of Toronto. 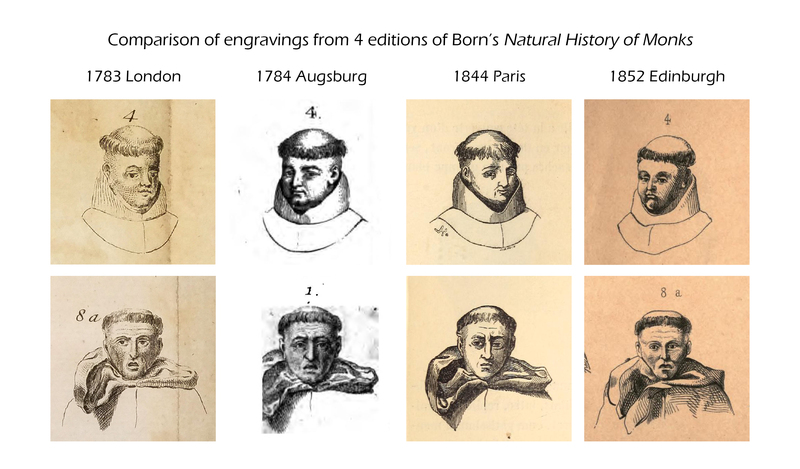 Select engravings from Born’s Natural History of Monks compared side-by-side. Though this is only a superficial comparison, a more extensive search and closer examination of the engravings could add to our understanding of how reproductive prints spread in the 18th and 19th centuries. As always, we welcome and invite you to view this or other rare books held by the Burke Library; to learn more about visiting our library or to make an appointment please visit our website at Burke Rare Books & Manuscripts. This entry was posted in Collections, Rare books and tagged Behind the Stacks on January 26, 2018 by Myongyee Jin. Myong is the Collection Services Assistant at the Burke Library. She helps to maintain Burke’s general and special collections.